Our new patient exam includes a comprehensive examination by Dr. Sniscak, a full mouth set of digital X-rays, and a visit with our hygienist to have your teeth cleaned and polished. For children 17 and under we offer a comprehensive dental examination, necessary digital X-Rays, teeth cleaning, and a fluoride treatment. If treatment is necessary for either of the above, additional time will be allocated to review options with the Doctor. Offers are for a limited time only and may not be combined. Cash or your insurance may cover. 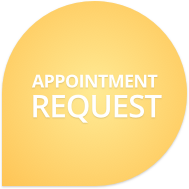 Call now to schedule an appointment. Ask about interest-free financing and our membership plan discounts.